Build your business’ social media voice and personality to cut through online clutter and make an impact on your brand’s bottom line. This webinar will teach you two important pieces to creating more customer engagement online. First, we'll show you how to build your brand’s social media voice from the ground up, creating a digital personality for your customers to interact with online. Second, learn important visual content strategies that maximize your storytelling and grab the attention of consumers while creating micro-moments, intent-rich moments when decisions are made & preferences shaped. Matthew Clyde (@matthewclyde) began his creative career at the age of 19 when he received the Sundance Institute’s Young Writer’s Award. The experience launched his creative career which has taken him on creative assignments from New York to Costa Rica, Europe to Hawaii. Over his diverse career Matthew has worked in Fortune 500 organizations, small start-ups and prestigious New York ad agencies. In 2005, Matt launched Ideas Collide, Inc. which serves clients worldwide including brands such as Intel, Vitamin Water and Best Western International. Locally his agency runs campaigns for Childsplay, Avnet and the Arizona Super Bowl host committee. 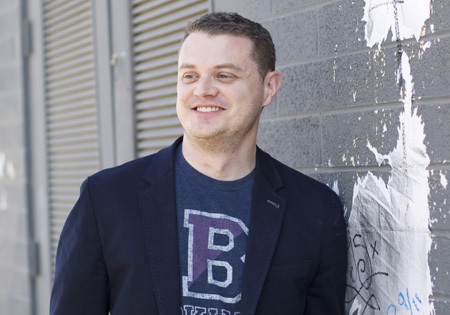 In 2013, the Business Journal named Matthew to the “40 Under 40″ list of influential business leaders in Phoenix and the HSMAI recognized him on their list of “Top 25 Minds in Sales & Marketing”. Matthew is the board chair of Phoenix’s Valley Young Professionals group. In addition, he donates time and services to Little Kids Rock among other non-profits. His passion for life can best be seen through the adventures he experiences with his wife and 3 children.